One of three new, classified operations initiated by the Pentagon earlier this year was launched to support Saudi Arabia and other partner nations operating in Yemen, recent reports and documents have revealed. As the Yemen war, raging for more than three years, has reached historic levels of humanitarian crisis, including mass starvation, civilian deaths and cholera outbreaks, U.S. arms sales and support with intelligence and logistics for Saudi military operations have come under increasing scrutiny. Operation Yukon Journey was named in a recent quarterly report by the Department of Defense Inspector General’s Office. But the initial note, only a few paragraphs in a 130-page document, referred to three named operations that were classified, two in Africa and one in the Middle East. All three operations were in support of the larger efforts, which seek to defeat both ISIS and al-Qaida. A document posted on the All Partners Access Network, an information-sharing website for the Pentagon and non-governmental organizations, revealed a list of military operations by combatant commands since February, when Defense Secretary Jim Mattis designated the three new operations. Mattis announced recently that the United States will stop refueling Saudi aircraft fighting Houthi rebels in Yemen, though the United States will continue to provide military assistance and training. But the refueling halt will likely have little impact on Saudi capabilities. The link between the IG report and the recent document posting was first published on the Secrecy News blog of the Federation of American Scientists and later reported by Yahoo! News. Defense officials and an IG spokesperson declined to share details of the classified operation with Yahoo. 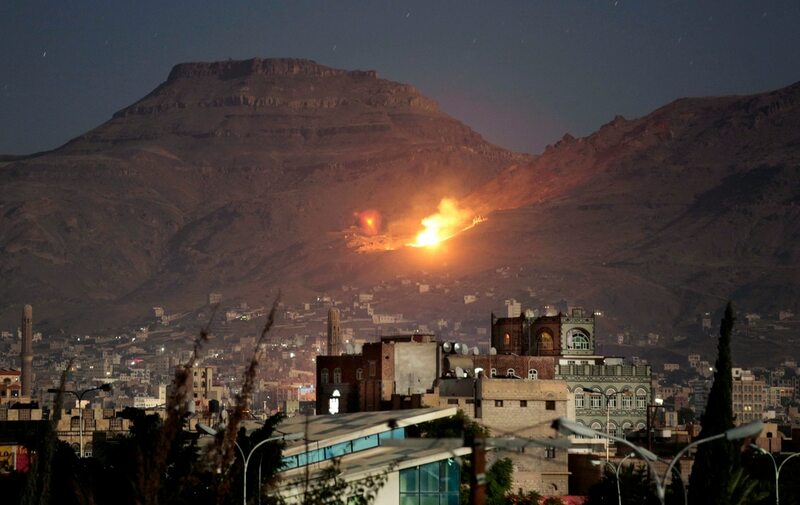 The recent war began in 2014, when Houthi rebels overtook Sanaa, the Yemen capital. As the Iranian-aligned Shiite rebels moved south toward Aden a coalition of Arab nations led by Saudi Arabia entered the fray in 2015 to defeat them and reinstate the overthrown Yemeni government. The more contentious portion of the fighting has recently been focused on the port city of Hodeida, through which flows more than three-quarters of the food, medicine and other necessities. Yemeni government and Arab coalition forces have pushed in recent days through bloody battles and barrages to retake Hodeida from the Houthis, who’ve held it since the war’s inception. A previous assault began, and then halted, in June. At that time U.S. and United Nations officials sought to bring the sides to the table for peace negotiations. Those aims fell apart and fighting resumed. Earlier this year, Robert Karem, assistant secretary of international security affairs for the Pentagon, told Congress that there were about 50 U.S. military personnel assisting the Saudi military with pilot advising, refueling and intelligence. Congressional leaders have repeatedly called on the Trump administration to limit or halt arms sales. Some say the Oct. 2 killing of Saudi writer Jamal Khashoggi, a Washington Post columnist and a critic of Saudi Arabia’s crown prince, has helped ratchet up pressure on the U.S. and other allies to limit or reduce support to the Saudis. Officials in Turkey have said that Khashoggi was strangled and dismembered at the consulate in Istanbul by an assassination squad, including agents close to the prince. But Mattis has said that U.S. involvement has helped limit casualties, saying U.S. influence on the air campaign has made a difference in reducing instances of errant bombing and the targeting of civilians. “The U.S. will also continue working with the Coalition and Yemen to minimize civilian casualties and expand urgent humanitarian efforts throughout the country,” he said. In the IG’s quarterly report, released earlier this month and covering July to September reviews of OIR, the authors noted that Pentagon officials were “unable to provide complete answers to some questions” in time for the report’s publication. The Pentagon provided classified responses to some of the questions submitted, according to the IG report.